There's nothing better than enjoying your morning tea or coffee and preparing for the day ahead. Any mugs you see here make it easy! A guaranteed way to keep your brand hot on people's minds. 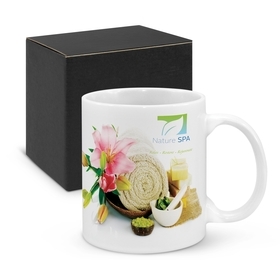 Promotional Coffee Mugs - logo printed for your promo! 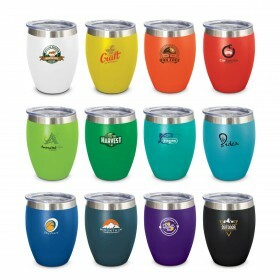 Promotional Mugs are one of our best selling Promotional Items not just in winter but all year around!. Have a look around your office right now - chances are there will be several Coffee Mugs being used right now - even in summer! - they are popular because they work at promoting your message where your customer makes business decisions - right at their desk. All Promotional Mugs are not the same though! - please take 5 minutes to read our Promotional Coffee Mug Style and Information Guide below. Reading this will help you buy a good quality Coffee Mug that is right for you. Ceramic Mugs: Are most of the mugs you see here - these are made from clay and fired in a kiln to make them strong and last longer. 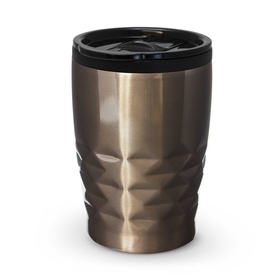 Metal Mugs: Usually made from stainless steel we have a limited range of these due to what is held as stock lines here in Australia. These are often see as being the travel mugs which we sell a lot of and can be found on this page. 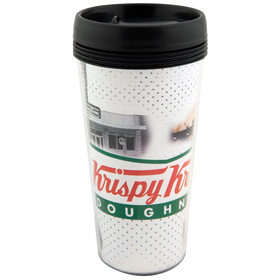 Plastic Mugs: Are a hard product to find in Australia - we offer this one: plastic promotional mug. This is a great value mug. Please remember though! - if you are a bulk buyer we can directly bring in any type of mug from the overseas factories - min quantities do apply and usually need a minimum spend of $5-10K. 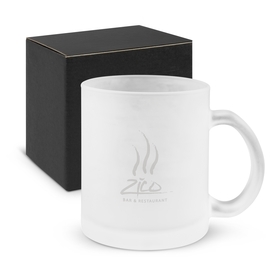 Bone China: These are popular amongst corporate buyers who seek a lighter and finer mug style - this is our best seller: Bone China Mug. Of course those are the materials that mugs are made from - we do specialise in selling lots of different mug shapes! 3/ Takeaway Style. We have these in both ceramic and plastic finishes. 4/ Latte Mug - sometimes know as a taper mug. 5/ Full colour mugs - these are becoming increasingly popular. 6/ Other styles that are popular include the Manhattan, Macho, Carnivale, Square and Morocco. Promotion Products prides itself on selling the best value Promotional Products in Australia. Our Promotional Mugs are the best value in Australia that we know of. We like to offer low costs, great quality Mugs and good service. We constantly monitor our competitors pricing - if you find one of our mugs or a similar one for a lower cost we want to know about it. We will endeavour to beat any quote to keep our customers happy. 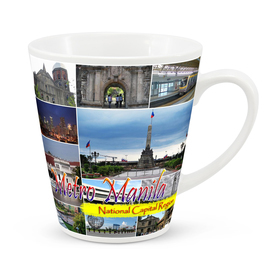 Many other Promotional Product Suppliers charge you set up fees on Coffee Mugs. We do not charge you $75+GST set up /colour. We aim to be transparent in our pricing with one up-front easy to understand cost. 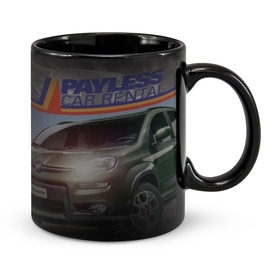 We look forward to helping you with your next purchase of Promotional Coffee Mugs.